While in England Paul and I spent most of our time in Salisbury. 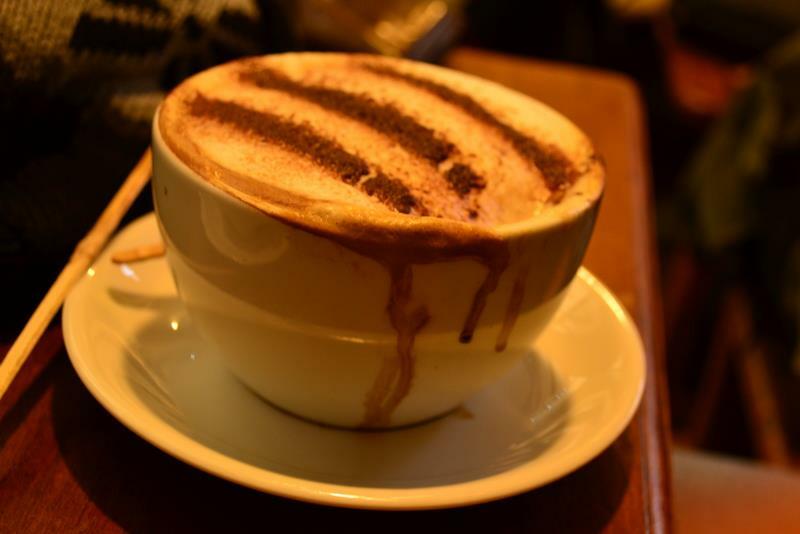 His mum and sister live in this lovely town amidst the country, home to the jaw droppingly beautiful Salisbury Cathedral, and quite a few cute coffee shops. 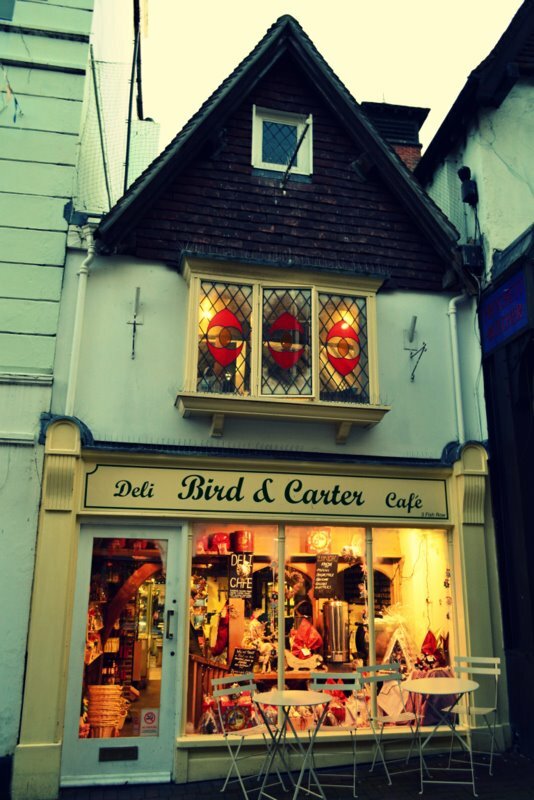 Bird and Carter was the first of the coffee shops we visited while in Salisbury and loved it. Never mind the fact that it was a warm refuge after walking out in the winter chill, but it is the most quaint building nestled between two buildings towering over it. The lower level is a Deli, selling bread, meats, cheeses, then as we walked up the rickety staircase into pure warmth we were greeted by the wonderful smell of coffee and delicious treats. Wooden tables, benches and iron lace chairs fit into the country interior of Bird and Carter, while the large cups of coffee we received made for one very happy couple. We so enjoyed our time in England. Even though it was very very cold, we had cafes like Bird and Carter to run into. The service was friendly and the coffee warmed us up… what more could you ask for.